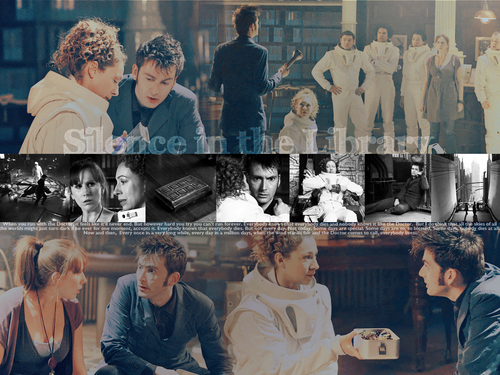 DW. . HD Wallpaper and background images in the ডক্টর হু club tagged: doctor who season 4 doctor donna. This ডক্টর হু wallpaper contains সাইন, পোস্টার, টেক্সট, চকবোর্ড, রাস্তায়, শহর দৃশ্য, and শহুরে. There might also be ভোজনকারী, বাদামি, and টার্নটেবিল. I do believe River Song is Rose Tyler older and from The Future. She's the only one who really knows the Doctor too well.